I'm trying to use a REST call instead of XML files. I get an error using XMLHttpRequest to retrieve my REST API call to my database server; here is my code which gets data back in responseText as two elements .count and .result. If I try this same code in an HTML page it correctly returns my results. I've adapted the 'fetch()' to BIRT syntax to transfer my data to local Data Set values for display in my BIRT Report. I am using a Scripted Data Source, with a Data Set. The only defined Script functions are in the Data Set for open() and fetch() as seen below. I found another thread that suggested using the importPackage( ) seen in my code. Same error with or without it. 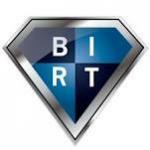 A BIRT exception occurred. See next exception for more information. ReferenceError: "XMLHttpRequest" is not defined. (/report/data-sets/script-data-set[@id="6"]/method[@name="open"]#3). Here is my code, do you have any suggestions? respText = JSON.parse(this.responseText); // assign to global the data returned. myFunction(xhr); // call MyFunction if we have data. // My understanding is 'fetch()' is called each time a record is requested. // we transfer the data to local BIRT variables and increment the counter. If you can use commercial BIRT, iHub 16, then we've included a new feature, a REST API data connector. The attachments need to be renamed to .ZIP for the first, and .RPTDESIGN for the second. I've put a request to get that fixed. Also, I'll work on editing the second article since the formatting wasn't ported over properly.